From Mary Stewart et al. Please could this go on the blog – Stan, Ruth, Barb and I are playing. 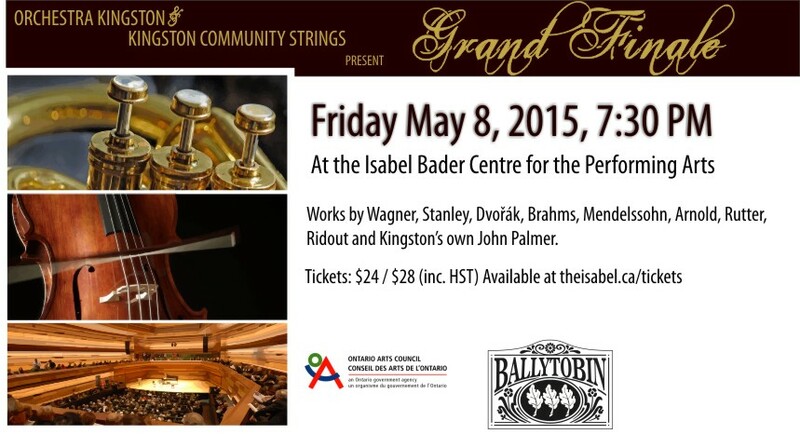 Please forward this evite to your friends and acquaintances and tell them about our upcoming performance at the incredible Isabel Bader Centre. It is going to be a remarkable event! Hi Chris – here’s the BrassWerks info I mentioned. It’s a great programme – cornet solo by Larry House, French Horn solo by Cory van Allen, Flugelhorn solo by Wayne Tindale. Sylvain Gagnon and Alex Voros are doing a jazz Bass Trombone duet! Thanks for sharing this with your musicians. Kingston’s own 16 piece brass ensemble presents another of its trademark "something for everyone" programmes. 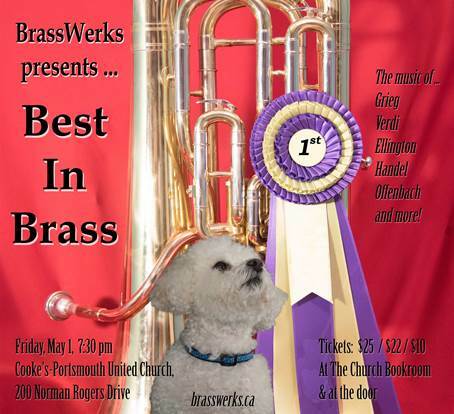 Featuring the music of Verdi, Handel, and Ellington, to name a few, Best In Brass will highlight some of the group’s talented soloists, backed up by the lush, brilliant sound of brass. Tickets at the Church Bookroom, or at the door. Information: info, or call Rick at 613-549-1910. Brad will be collecting for the lottery this week. Could you put this on the LaSalle blog? Perhaps some of your students would be interested in attending. The winning button number for the free concert is 26. Thanks to everyone for subscribing to our concert series! Details for next year’s line up will be out in August. Sound Bytes Series last concert tomorrow at St. Mark’s. Come join us for our last concert of the season. Friday, come hear the Kingston Classics Trio with Chris on Clarinet/Soprano Saxophone, Katie on Bassoon/Contra Bassoon and Bill Egnatoff on Flute. We’ll be playing a wide variety of music for your enjoyment. Also as an added bonus, one of Katie’s 4th year bassoon students is doing a mini recital right after our concert at the same location. He has asked Katie to perform a duet with him. Our concert starts at 5pm and the mini recital will start at 615pm and is free admission.